The greatest part about video games are their ability to convey an experience through interaction. We don’t need highly skilled actors to demonstrate a feeling and we don’t need absorbing prose to try and set you in a space. In video games, the player is a willing participant in the events that occur, and they get into interact with that world in just about any way imaginable, so long as the developer provides the necessary mechanics. 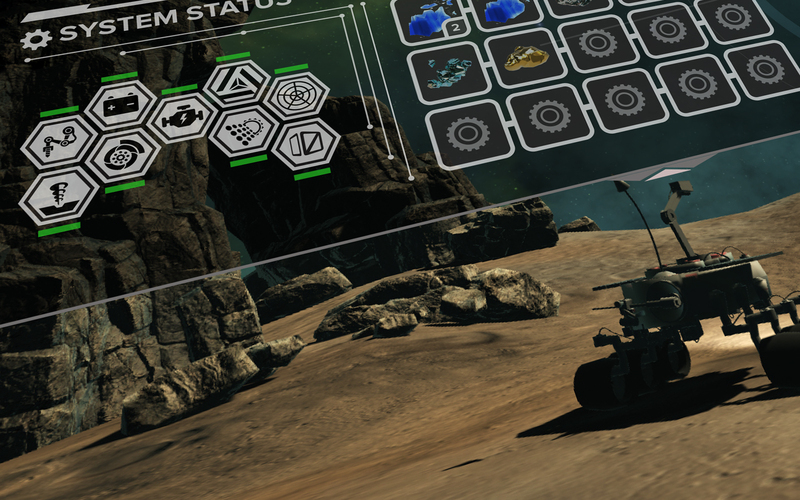 Alongside those mechanics, typically, needs to be something of a menu/interface system. These systems, by their very nature, often pull the player out of the physicality of the moment. This isn’t necessarily a bad thing–so much of our perceptions are just as mental as they are physical–but it means the developer needs to make the interfaces an actual part of the game they belong to. If you’ve ever played an Atlus-developed game, you’ve probably seen their fantastic menu systems. Not only are they designed to be super fun to look at and consistent with the aesthetic of the rest of the game, but they’re also super intuitive! The battle menus in Persona 5, for example, are designed to look like a bullet through glass (reflecting the new gun system) and also mimic the placement of buttons that the player needs to press in case they forget! It’s brilliant, but I’m pretty sure it wouldn’t work in Gears of Eden. He’s a JRPG and she’s an adventure game… it would never work. We would, however, love to borrow this design sense. Right now, we’re in the middle of designing the next stage of our own menu systems. We’re looking at examples in games we love, we’re thinking about what works and what doesn’t, and we’re putting together little mock-ups to help us discuss our ideas. We have no doubt that we’ll be doing this again (UI design is something that is constantly evolving through a project’s lifecycle), but its important that this menu works alongside our Phase 2 goals of development. We are also listening to your Alpha survey feedback, and working to make sure our systems are more intuitive and easy to use. Soon, hopefully, we’ll have these designs in place so our artists and the programmers can get together and work this all into the game! We want to get this in as soon as possible because a lot of the future development relies on having interfaces in place: missions, crafting, conversations, and more! All fodder for future Dev Updates! Be sure to follow us on Twitter, Facebook, and Patreon to see all that goodness as it goes down, alongside all of the other development-based content that we put out! Thank you so much for reading and I hope you have a great rest of your week.